SUPERB LOW MILEAGE, HIGH SPECIFICATION COLUMBIA MODEL IN FANTASTIC CONDITION THROUGHOUT. SALES PACKAGE TO INCLUDE A NEW SERVICE PERFORMED ON THE VEHICLE, 12 MONTHS COMPREHENSIVE NATIONWIDE WARRANTY AND 12 MONTHS AA BREAKDOWN COVER. JUST ARRIVED! 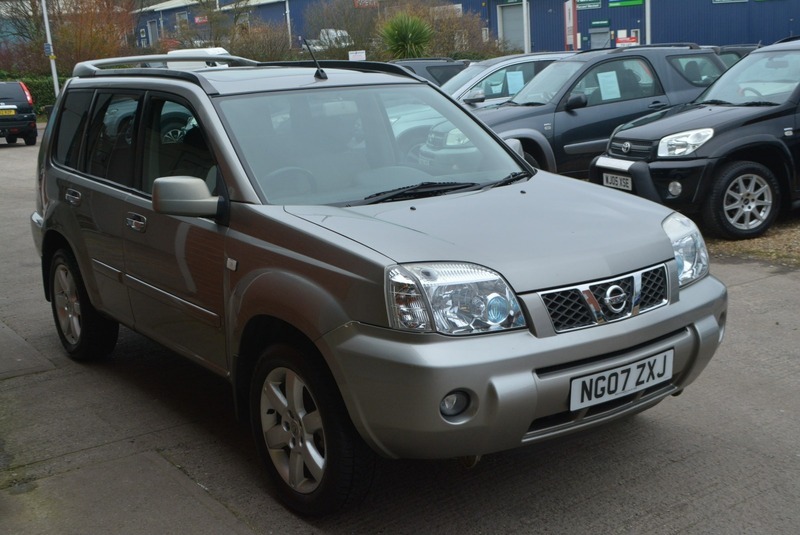 Here we have a stunning NISSAN X TRAIL COLUMBIA DCI 2.2L DIESEL MANUAL 5 DOOR 4X4 in silver metallic with grey cloth interior in superb condition throughout. This lovely example comes with great service history with 7 service stamps and a new service conducted at point of sale, having now only covered 54,000 miles. Coming fully equipped with a factory fitted electric glass panoramic sunroof, satellite navigation system, cruise control, alloy wheels, climate control air conditioning, electric windows, am/fm stereo with front loading cd player and electric mirrors.